Medication anchored Self-Care by Engaged Patients can increase positive payment adjustments for providers under MACRA–Will practice leaders and system executives take this high road or merely rely on policy, training and browbeating already overburdened clinicians? Rome wasn’t built in a day and providers won’t change their practices overnight just because of MACRA. Rules, entreaties and demands for compliance are unlikely to transform provider practices and very likely leave a considerable overhang of bad feeling. While education about the performance requirements of MIPS is a necessary first step, regular reinforcement of the desired behavior change sought from providers is a potent adjunct to formal training, leadership cajoling and transparent competition among colleagues. Can engaged patients be a source of that regular reinforcement? MACRA is a zero-sum program. Consolidates three existing quality reporting programs, plus adds a new program, into a single system through MIPS. For 2016 providers are still using the PQRS framework for measuring and reporting which will evolve into MIPS reporting for 2017. As most physicians will be paid through MIPS until more APMs are operational and stable, it’s worth addressing how providers may maximize their quality metrics to increase positive payment adjustments to their Medicare reimbursements. Success in gaining positive payment adjustments from Medicare and avoiding negative payment adjustments requires excellent clinical results. Providers must achieve clinical performance that exceeds the mean or median composite score of all eligible (read competing) MIPS providers. Because the program must remain budget neutral, positive payment adjustments will be dependent on each provider’s place on a bell-shaped curve. Competition among providers is built-in to this zero-sum competition. The competition restarts with each performance period and for some providers to be winners; others must be losers. For example, a patient with type 2 diabetes may see as prescribing physicians a primary care physician, an endocrinologist, a nephrologist and a cardiologist over the course of a year. An ophthalmologist and podiatrist may weigh-in as consultants without writing prescriptions. Will these five providers all understand the patient’s medication regimen? Adherence to the physician and patient agreed to medication regimen may substantially influence hemoglobin-A1c level. When the physician and patient manage this level together through diet and a mutually agreeable medication regimen, they build trust in one another. Successfully managing the hemoglobin A1C blood level together may lead to a patient’s active participation in the other measures of quality care noted above. 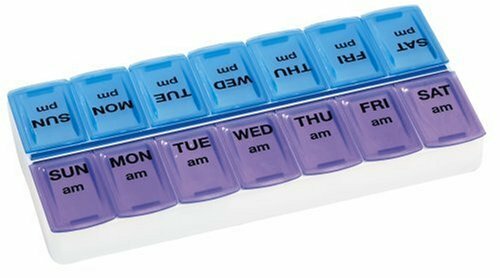 Will anyone other than the patient and her caregiver know just what medications the patient is actually consuming and on what schedule? Unlikely and more than that, each physician will be devoting a portion of their patient’s visit to reconciling the home medications actually taken with that doctor’s record of what s/he thinks the patient should be taking. Why not have the patient collaborate and influence providers’ behavior change? Why not Let Patients Help? Can patients’ pull reinforce physician practice adjustments? Today, the venerable bag of pill bottles carried by patients or family caregivers to doctor appointments serves as the most commonly relied upon source of truth for both a patient’s medication regimen–what bottles are in the bag–and the patient’s adherence to the regimen–how many pills are left in the bottle? Interestingly, in many cases unknown to the provider, patients are managing and tracking their meds using plastic pillboxes sold at retail pharmacies. Such patients are generally expected to have a better outcome and experience fewer burdens of illness than a patient whose medication management deviates from the agreed plan. Now as technology makes it easier for a patient or patient’s caregiver to track medication usage, the patient once again and most appropriately becomes the source of truth and the center of the care team, in turn reinforcing the provider’s behavior change. Patients with chronic illness and multiple comorbidities often have a complex medication regime that’s the cornerstone of medically managing their illness(es). Managing this self-care between encounters with the patient’s provider can be enhanced with a medication management solution that does not require extensive manual data entry (such as medication name, dose, time etc.) by the patients. The patient prospers in their empowerment–all the physicians want the information the patient compiles. The physician prospers as the patient is that much more likely to adhere to the treatment regimen the doctor and patient have jointly undertaken. The doctor’s practice prospers because every patient who adopts medication tracking reminds the doctor to offer medication tracking to other patients. The physician and patient benefit together by reducing the time required for burdensome medication reconciliation, thereby allowing more time for the patient to raise and discuss concerns and for the physician to explore and counsel about those concerns. This self-reinforcing cycle may be initiated by either physician or patient, and since as we know, patients are particularly trusting of advice offered by their physician, the suggestion to adopt the medication tracking tool recommended by practice or ACO or insurer may motivate the patient to take that step. Don’t let the perfect be the enemy of “better.” Though relatively few patients or their caregivers may adopt your favored app–since only 20 patients’ data need be reported in 2016–starting small, even with only a rare patient adopting medication tracking still enhances the provider’s overall quality measures and serves to remind the provider of the value of the tool, acting as “pull” even as you and other leaders “push” improvements in quality through medication tracking to your provider colleagues and to the patient population you serve. Physicians, patients and practices all benefit when they Let Patients Help.